Why Did Weight Watchers Change Its Points Program? 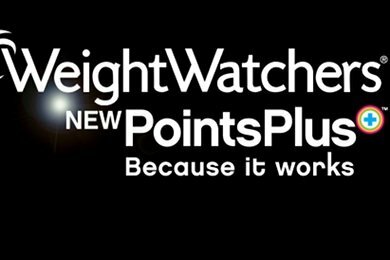 You probably all know by now that Weight Watchers revamped its famous "Points" program into "PointsPlus". Check out my list of Smart Points Recipes for inspiration! The recipes are listed by Smart Points value to help you in your quest for staying on plan. Snack Girl tried Weight Watchers about 5 years ago. I found it helpful because it woke me up to the amount of calories in my favorite treats. A donut was counted as 6 points and I only had 24 points to eat in a day! It became much easier to avoid donuts when I realized that 25% of my daily calories were going to go to that donut. But, one thing mystified me about the program. Weight Watchers would allow me to eat 4 donuts for my 24 points. As long as I remained below their calorie limit for the day, it didn't matter what I ate. I was lucky enough to get a chance to interview Karen Miller-Kovach, MBA, MS, RD about the new program. She is the chief scientist and general manager of research & development for Weight Watchers. Snack Girl: Why did you change the POINTS Weight-Loss System? Karen Miller-Kovach: We’ve learned so much more in terms of weight management since the original POINTS system was developed 13 years ago. It was critically important looking at 2010 and beyond, that are our current methodology reflect the latest research. Snack Girl: One change that I noticed is that a banana (100 calories) is now zero points. A 2 ounce Deep Chocolate VitaMuffin is now 3 points (also 100 calories). How are the calories in a banana different than the calories in the Vitamuffin? Karen Miller-Kovach: Most adults don’t eat enough fruits and vegetables. So our strategy was to assign these foods a PointsPlus value of 0 to encourage more consumption of these very nutritious foods that are also very filling. That being said, these foods do contain calories so we’ve factored that into the calculation of a member’s daily Target (the number of PointsPlus values they are assigned per day), so that a PointsPlus value of 0 can be assigned and member’s will still successfully lose weight. Snack Girl: Is this program going to help people lose weight AND eat healthier? Karen Miller-Kovach: PointsPlus is a guidance system that makes the healthy, satisfying choice the easy choice. While the environment today makes it hard to make the right food choices, the new PointsPlus program guides people towards making smart, healthful and satisfying choices to lose weight without having to think a whole lot about it. Snack Girl: What is the Weight Watcher's philosophy about snacking? Karen Miller-Kovach: The Weight Watchers approach does not say what you can or can't eat but provides information, knowledge and tools to help people make healthy eating and activity decisions that are right for them. The PointsPlus program leaves room for indulgence, making the program livable and flexible to ensure members do not feel deprived. These recipes are developed by Snack Girl and are not endorsed, sponsored or approved by Weight Watchers International, Inc. Points values are calculated by Snack Girl and are provided for information only. If you want to learn still more about PointsPlus, my pal Danica of Danica's Daily does a great job summarizing the new program here: Weight Watchers Points Plus - The New Program. Have you tried the new Weight Watchers? Please share. Do you want me to include the PointsPlus number on my snacks? Weight Watchers PointsPlus and Snack Girl - Success? I too have used weight watchers before and quickly signed up for the new program. I think it is in part, to encourage purchasing new items from WW and to try and fix something that was not broken. I wish I could switch back online to the old point system. @Juliette - thanks so much for sharing your experience. They sent me this cute little calculator to figure out the Points - do you have one? or do you find it too onerous? You have to type in calories, fat, protein, and fiber. I started on the old program, and after 4 months was switched to the new program, and to my surprise; didn't find it difficult at all to make the adjustment. I think its a matter of figuring out your shopping list in advance (so you are not trying to guess points on labels at the store) and well, not eating a ton of pre-packaged foods to begin with - which the new program is designed to wean people off from. I know most of the people in my meetings have been loose weight much more consistently in the last few months as well, which is great. I did the old points program (online only) 4 years ago to successfully lose about 40 pounds. I kept it off, mostly, but over the holidays got to the point at which I either have to watch what I eat or buy new pants. So I decided to do WW again just for 3 months or so, to remind myself (again) how much I should eat. The new system seems to work just as well, it's just not as intuitive. It does seem to encourage choosing healthy foods much more than the old version, which is great. @juliette ... I have to jump in here. I'm really sorry to hear that you think the program change is simply a marketing ploy. It's really not. This is the 3rd time I've been on WW in the past 10 years, and it's the FIRST time I feel that they are encouraging their members to steer away from processed, packaged foods. They are encouraging their members to eat fruit, veggies, BUTTER (instead of margarine), real sugar instead of artificial sweeteners, and on and on. I hope you take another look at the program. It really is just healthy eating accompanied by a cheering section. p.s. I've lost 7 lbs since T'giving ... not counting what I hope I've lost this week! I have to agree with Julie, I don't think it's a marketing ploy. If so, they've screwed themselves because all their bars and foods have gone UP in points with points plus. They do want us to make better choices. After a couple months of doing it, I am really happy with it. I'm disappointed that my 4 oz glass of red wine has gone up in points but it's nice to know I can still have one occasionally. It definitely pushes me toward eating more fruit!! I think it's great. I would LOVE you to include the WW points on your recipes! I started WW Points plus 3 weeks ago. I still fall within a "healthy" weight but my clothes weren't fit and I knew I wasn't eating healthfully i.e. not enough fruits and vegetables. I joined to loose 10 pounds but my main focus was to retrain myself to make more nutritious choices. For example, I have to REALLY want something for me to spend points on it which means I'm choosing more salads and lean protein for lunch, fruits for snacks, and side salads at dinner before the main entre in order to help manage my portions. It was really important for me to not feel deprived. I still wanted to be able to have wine, chocolate, beer, and the occassional cheeseburger and points plus lets me do that. I haven't purchased a single WW meal item and don't plan on it. I use the online tools, the calculator on my blackberry, and the tracker on my husband's iPhone when we're out to dinner together. Finally, the ability to swap points for exercise has encouraged me to exercise more too. I love food. I love to eat and this system provides me with options to continue to do that! I feel better in my clothes, have more energy, my moods are more stable, and I'm still satisfied... in fact, I probably feel more satisfied than I did prior to WW because if I treat myself I no longer feel guilty about it afterwards because I'm sure I'm doing it in a balanced manner. Now that I've been doing it for 3 weeks I can estimate in my head (if I can't use technology for some reason) and am pretty accurate the majority of the time. It just takes time to develop new habits. 4.5 pounds down and 5.5 to go! @Melanie - Way to go! That is really amazing news - you convinced me WW Points Plus will be added to my snacks. I will announce it when I am finished reviewing the site. Thanks Snack Girl! Your post made me decide today is the day... Well maybe tomorrow. I'm going to do WW with my mom. I'm really excited. I gained 5 pounds over the holidays and would love to get those off and any additional would be a bonus. I'd really just like to eat a healthy well balanced and well portioned diet for me and my family. I did the WW points plan 6 years ago. It was great. I lost 13 lbs and then I got pregnant with twins so had to drop it. I love for your recipes to come with the PointsPlus listed. Thanks! Wow, this is serendipitous! I have been thinking this week about joining Weight Watchers online. I know what it means to eat healthy, I just don't always make the food choices I should, I usually go for easy. This really makes me want to give in and do it so I lose 15 pounds for summer. It would be awesome if you include the points. I started the new WW program on Dec. 30, having also been a WW member before. Before, I lost 40 pounds (the same 40 pounds that found me again and now I have to lose them again!). I have been on the program 2 weeks, and have only lost 0.2 pounds. I'm terribly discouraged, but they keep saying that it doesn't work like the old program and that it WILL come off, it just takes your body time to adjust. I'll try it for a month, but if nothing happens, I'm going to quit. I have been RELIGIOUS about tracking everything that goes into my mouth, weighing, measuring, etc. So I'll let you know what happens if you're interested! Back in 1981 I read an article in Reader's Digest about dieting. The article stated that one should "portion" and eat slowly and enjoy. I did that and went from 240+ pounds to 140 pounds within a year. I wear medium shirts and size 36 pants...yes I've gained some weight over the years but I'm still 6' 1" and considered slim. It is nothing but WILLPOWER. p.p.s. snack girl; way to go! Robert, congratulations for your weight loss. However that does not give you the right to be so judgmental of others. If it was that easy, we'd all be thin, and there's much more to it than just willpower. In other words, Robert, if you can't be supportive, please don't post comments like that. It only tears down people's self-esteem, which when you have a weight problem is low enough. I would *love* for you to include PointPlus for your snacks! I've been doing WW for years now off and on... and the new program has me motivated to lose the pounds that I let sneak back on after I lost them the first time! Love the new PointsPlus program. So much easier to track food with fruit and veg "free". Have done several incarnations of the WW program and I like this one the best!